The literal translation of this tasty dish is milk bread but is better known as rice pancakes. 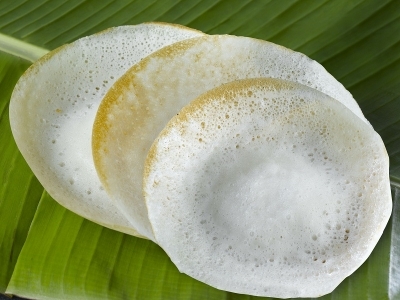 They are made from rice batter and coconut milk.The thick soft centre and the thin crispy outer layer makes the Palappam for a unique and delicious breakfast and is best served with a stew or curry. 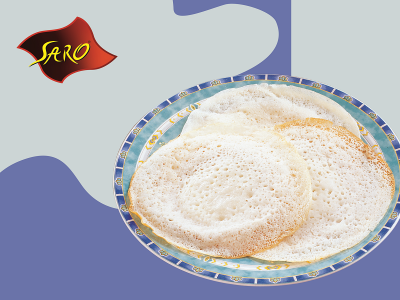 Saro understands and has successfully met the international culinary preferences by providing meal options such as the Palappam that are made from its original recipe. Now you can make and enjoy this exotic dish right at the comfort of your home.